Custom printed promotional Trolley Coin Keyrings from ID Promotional Services. Perfect as gifts, or for brand promotion. Looking for a useful promotional product that your customers will find invaluable? Trolley coin keyrings have proven highly popular with a number of our clients - your customers need never be short of change again! 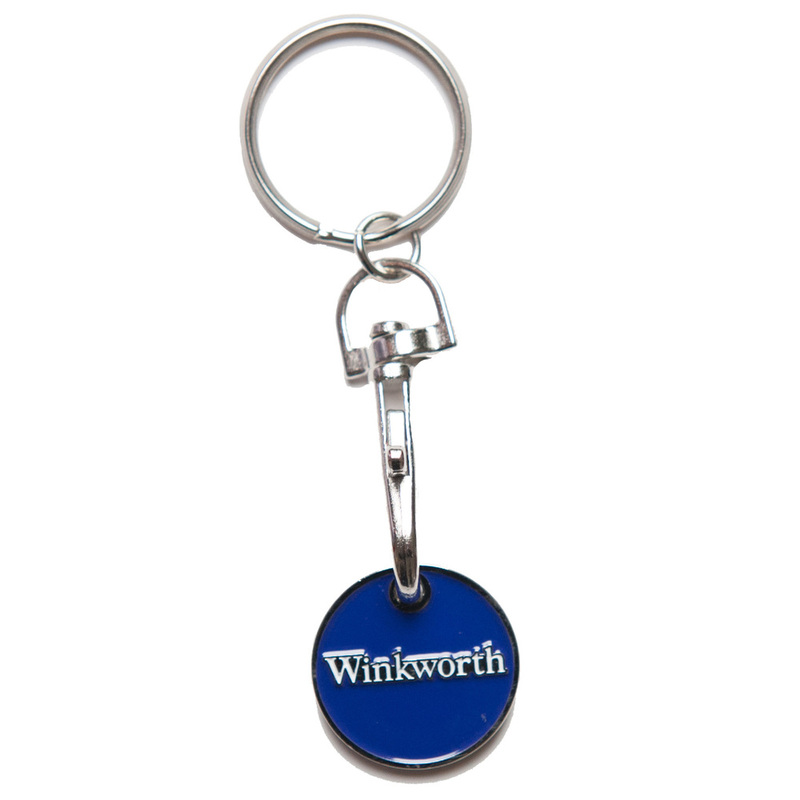 Keyrings are a proven and popular promotional item. A trolley coin keyring holds a coin disc which can be used to unlock trolleys at supermarkets, health clubs, airports, lockers etc. We all get caught short of that essential coin, and by using a trolley coin keyring you can ensure that this doesn't happen. The trolley coin keyring is a useful and economical give away. 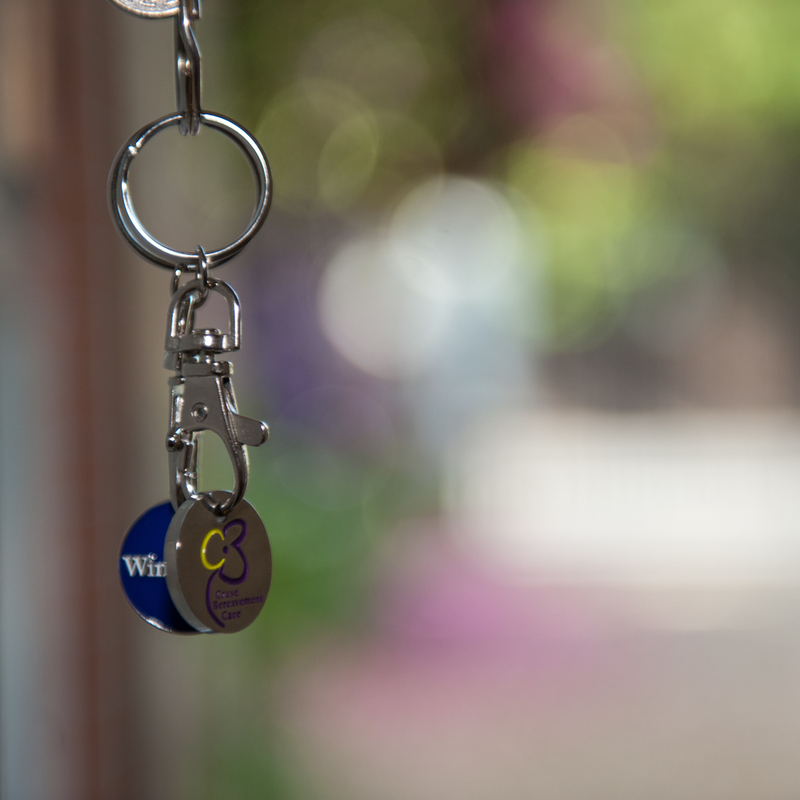 Our keyrings are available in both Sterling Pound and Euro size. 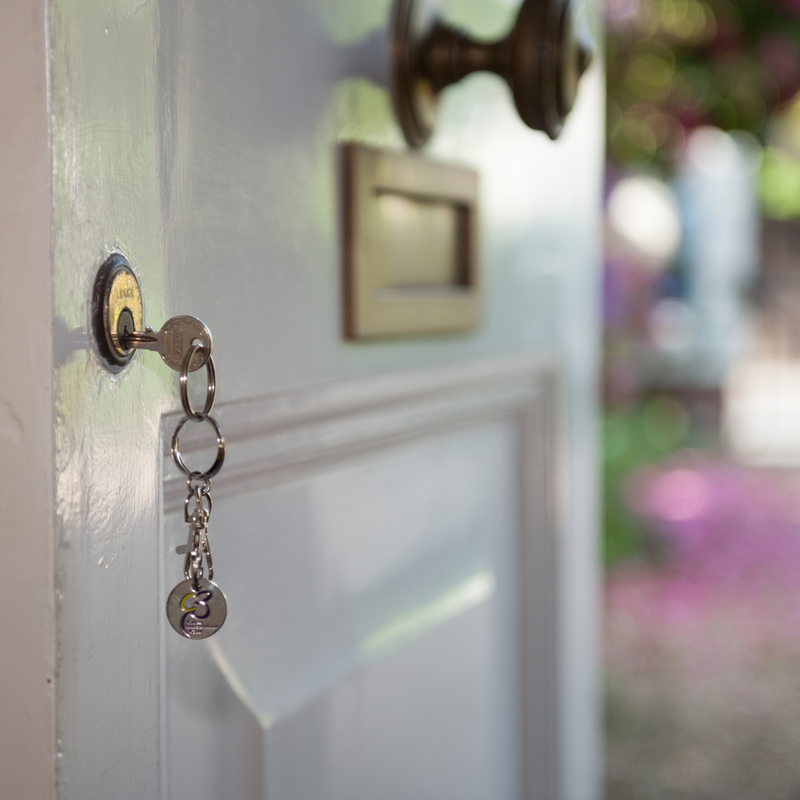 A standard sized metal keyring. 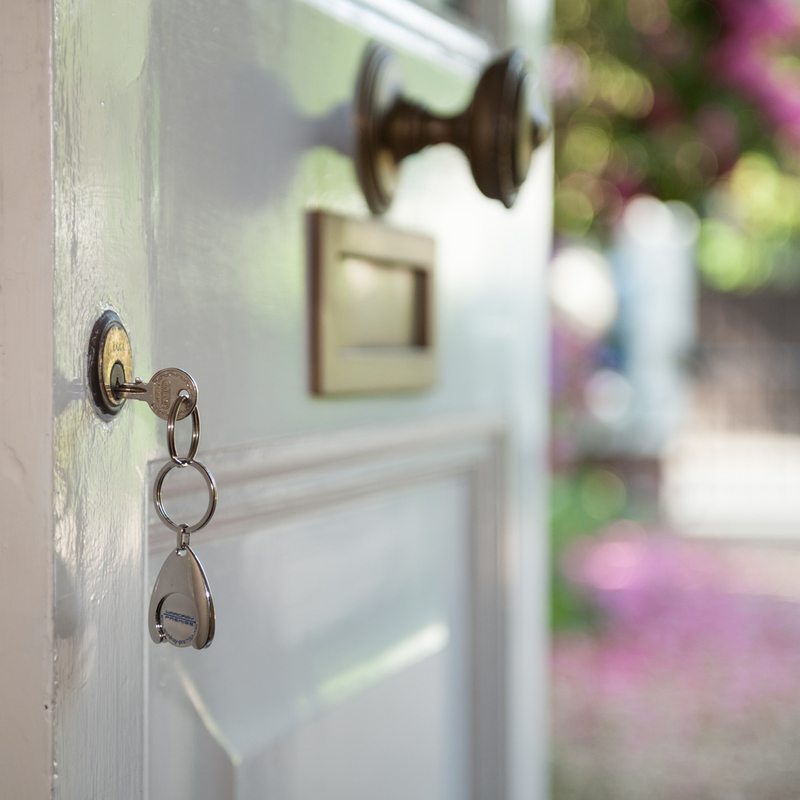 The key rings have a stamped metal die and are produced in two standard styles: the standard one with just a coin disc and the larger one with a wishbone trolley coin keyring. Both are hard wearing and a handy size, and are produced custom made to order. New to the range are trolley key rings which have a printed metal insert for those detailed artworks that may be difficult to die stamp. The key rings are finished in either gold or silver, both of which appear modern and expensive. The stamped metal die can be produced in a range of colours. These are lovely eco-friendly light weight keyrings produced in the UK and made from plastic sourced in the UK. The white plastic is produced from packaged off cuts from yogurt pots and other types of packaging. The black plastic is recycled from car bumpers. The clear material is from drink cups used at large events. 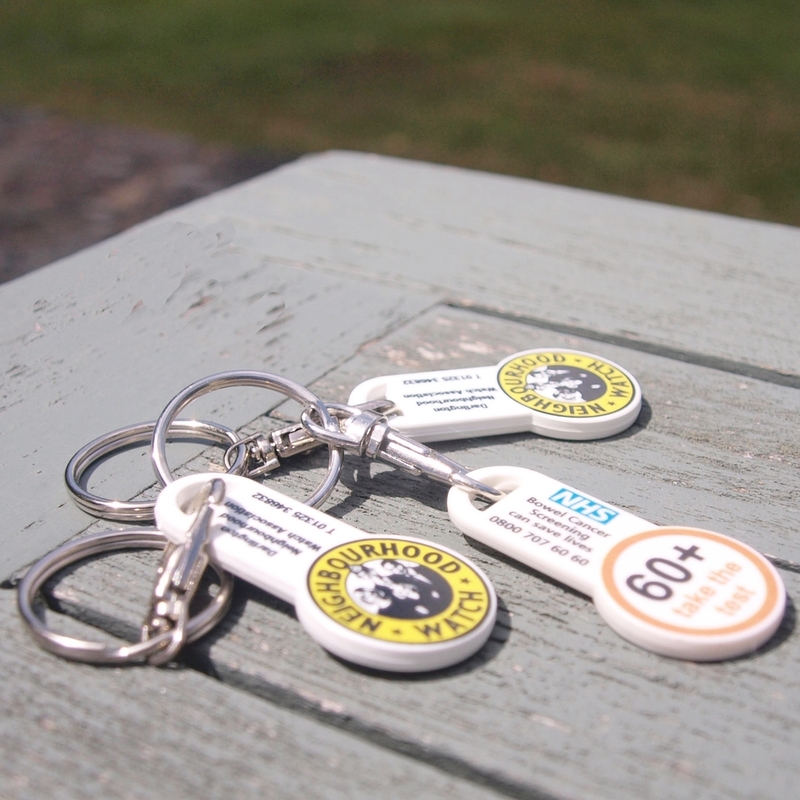 There are two different sizes available in the recycled plastic trolley coin keyring. We have the standard one which is a disc and also the trolley coin stick keyring which offers a larger print area. These promotional keyrings can be supplied in eight different plastic colours as standard but can also be pantone matched for an additional cost. Print available is either one colour or full colour, one or two sides.